Training with Focus mitts constitutes a fundamental part in the development of a technically skilled boxer. When utilized properly, the mitts form an effective example of a type of training equipment that is highly advantageous for laying the foundation and developing everything from the most basic of punches, to improving upon the speed, precision and accuracy of advanced punch combinations. Coaches can use them to great effectiveness to systematically train exactly what they want from their fighter offensively, as well as defensively, substantially improving a fighters boxing skills. A good coach will use the focus mitts as the core of a comprehensive training routine. They use the time spent on the the focus mitts to methodically introduce the basics. Effectively calibrate the intermediate techniques. And diligently hone and refine the rhythm and fluidity of the advanced techniques. In this manner the coach gets a firsthand view of his apprentice, much like a professor personally tutors a student. For the coach, The fundamental purpose of the mitts is to work them with specific intent. They can function primarily as a conditioning tool, or to actively Improve coordination, enhance defense, as well as augment the Boxer’s counter punching ability. When a focus mitt session is conducted correctly, the mitts are an invaluable and practical training method for a coach and his boxer. It is the closest practice a boxer has to mimicking an actual sparring session or bout. There should routinely be an aliveness and a spontaneous element to focus mitt training to make the training session intense, mentally engaging, and physically challenging. It is important for the boxing coach to throw counter punches while holding the mitts for a fighter. This reminds a fighter to remain mindful of defense, even in the midst of launching an offensive attack or following through with a counter attack. 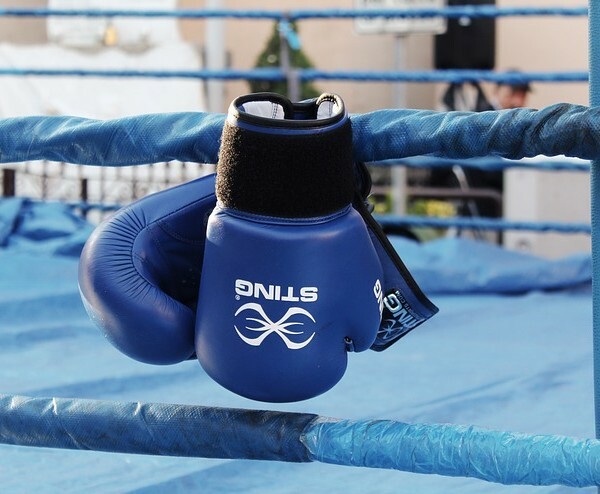 Focus mitts training offers multiple benefits because of the varied drills or combinations applied. An important aspect that focus mitt training allows for is working on areas of weakness that must be addressed and improved. Focus mitts sessions should always remain flexible and improvisational to augment individual development to the utmost degree. Training routines should be modified according to the training goals that should be met, and obstacles that must be overcome. It is vitally important to tailor the workout towards each boxer’s individual needs to maximize results.